Although two-stage meta-analysis can be performed in various software packages, in all cases, the outcomes of the included studies that will be ‘fed’ into the models must all be expressed in identical format (e.g. 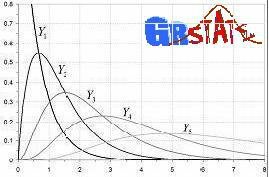 group means and standard deviations) for all the studies. The researcher must go through a preliminary process of transforming study outcomes that may have been disseminated using a variety of statistical parameters to the common format, a tedious task that requires at least some statistical adeptness. We developed a freely available add-in for Microsoft Excel that automates many meta-analysis processes and provides support for the task. The add-in automatically uses the most precise method to calculate an effect size and it’s SD, provides a forest plot and uses complex random-effects methods (including REML) to calculate an overall effect. The methods have also been implemented in Stata. Since REML is being advocated as the best random-effects meta-analysis approach we also investigated the performance of various methods in a variety of scenarios, including small study numbers and non-normal distribution for the effects. Finally, we will discuss the dangers of a zero between study variance estimate and the likely fallacy of the homogeneity assumption. Regarding Individual Patient Data analysis (IPD), currently considered to be the best meta-analytic approach, we will present various different modelling approaches and discuss their implications. Examples will be provided in Stata code and we will also present ipdforest, a new Stata meta-analysis post-estimation module that follows a random-effects IPD meta-analysis model and provides a meta-analysis summary table and a forest plot. Finally, power calculations in the IPD meta-analysis context will be discussed through ipdpower, a new Stata module currently under review.